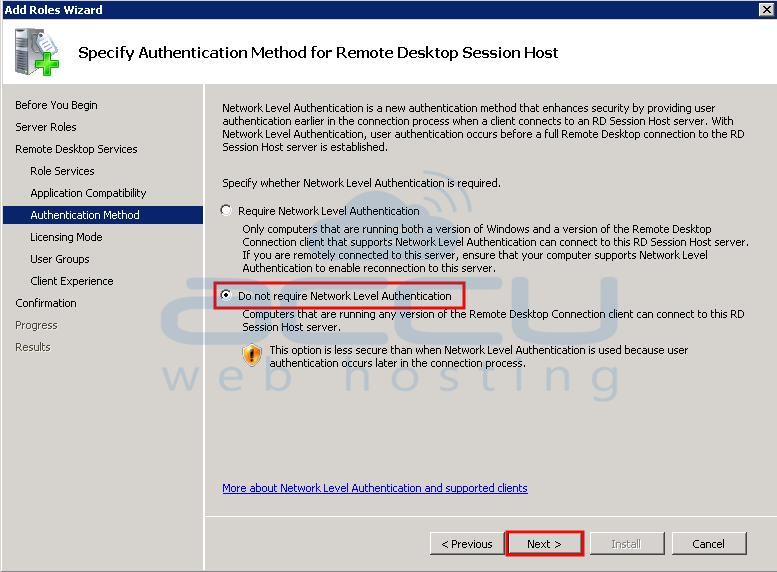 How to Setup Terminal Client Access License (CAL) in Windows Server? 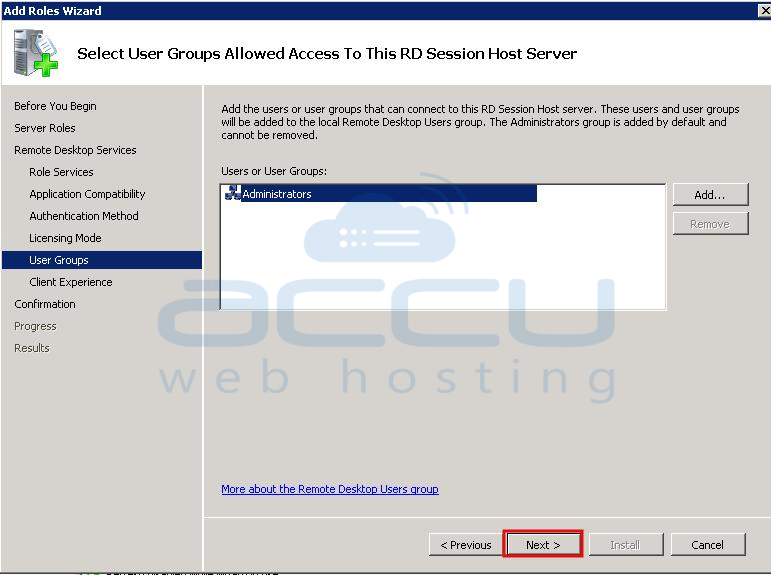 By default, two users can connect to Remote Windows server via Remote Desktop. In certain situations, you are required more than 2 users to connect and work simultaneously on the same server. For example, your server administrator team is working on your Remote Windows server and at the same time your developer team wants to access the server. That's when Remote Desktop CAL comes into the picture. RDP CALs enable the users to establish more than 2 Remote Desktop sessions on the same Windows server. At AccuWebHosting, we offer RDP CAL license at a cost of $25/month for additional 5 Remote Desktop users. To avail additional CALs, you just need to submit the support ticket from your Helpdesk. Connect to your Windows VPS / Dedicated Server via Remote Desktop. Ciick on Start button then right click on Computer and select Manage option. This will launch Server Manager window. 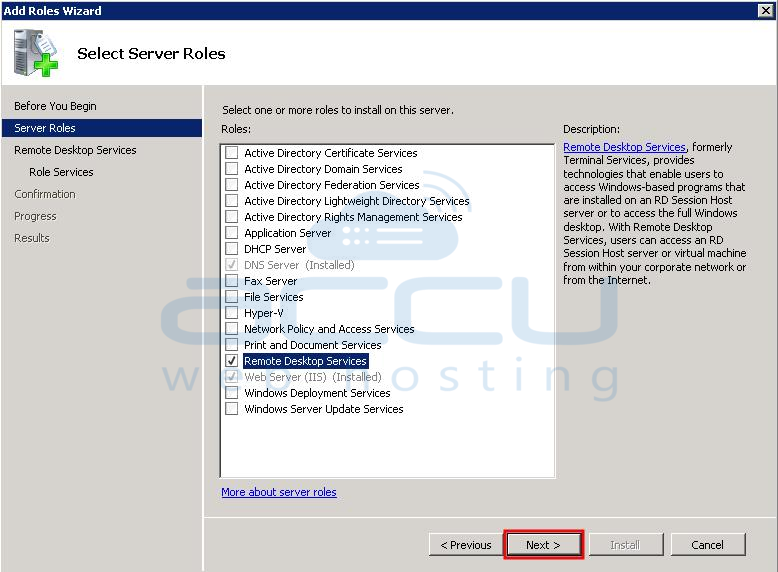 At Server Manager window, expand the Roles and select Add Roles button from right hand side pane. At welcome page of Add Roles Wizard, click Next button. 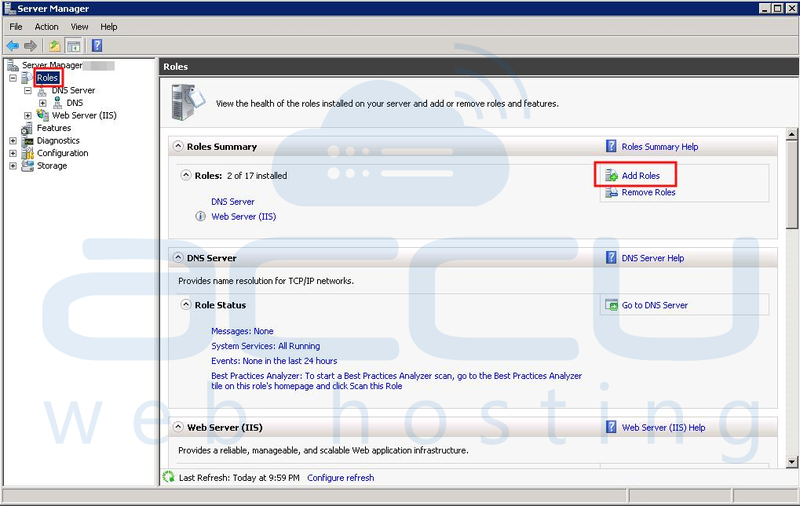 From the list of Roles, check the checkbox Remote Desktop Services checkbox and click Next. On the next screen, select the necessary services you wish to install. For Remote Desktop CAL, only Remote Desktop Session Host and Remote Desktop Licensing services are required. Check respective checkboxes and click Next. Click Next button at Application Compatibility stage. At Authentication Method stage, select Do not require Network Level Authentication radio button and click Next button. At Licensing Mode stage, keep Configure Later radio button checked and click Next button. Click Next at User Groups stage. At Client Experience stage, select required Audio and Video playback options and click Next. At Confirmation stage, click Install button. 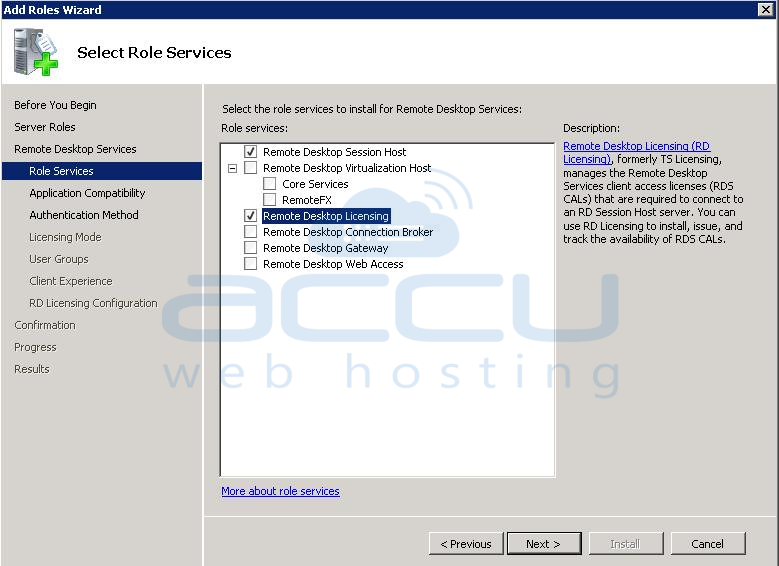 This will lauch installation of Remote Desktop role with selected services. At Progress stage, installation progress will be shown. 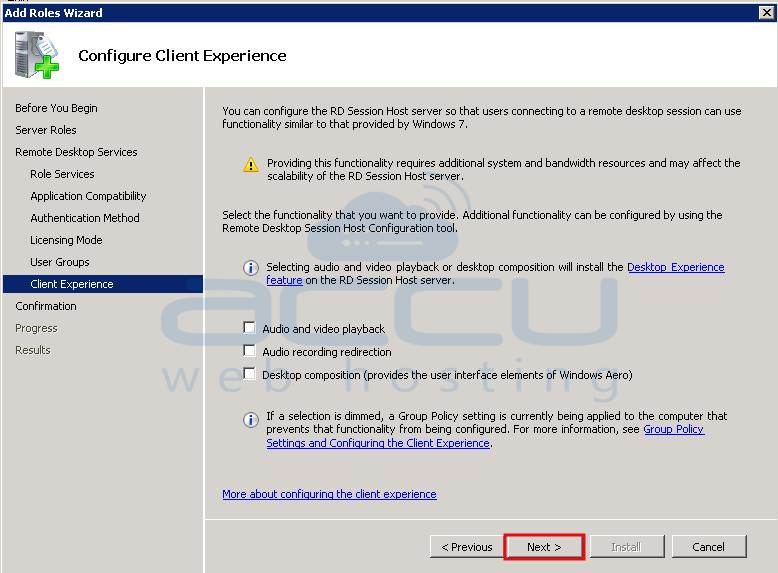 On successful installation of Remote Desktop role, close the wizard and reboot the server. If you noticed in step #8 (Licensing Mode stage), we selected the Configure Later option that means CAL license is yet to activate. If you do not activate the license within a certain time frame, then Remote Desktop services will be stopped automatically. 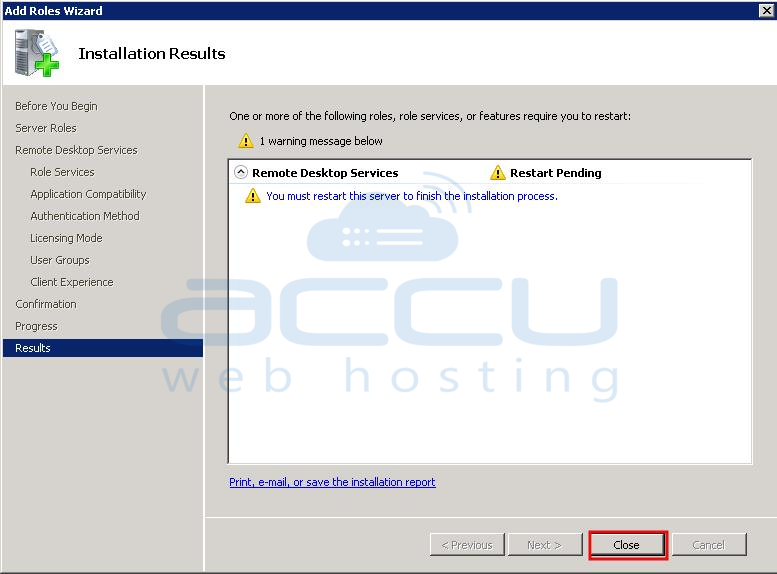 In order to activate the CAL license, AccuWebHosting customers can submit the ticket from client area. If you are not AccuWebHosting customer, then you'll need to contact your license provider. So far you've successfully installed the Remote Desktop role and activated the CAL license. Now, it's time to verify that you are able to establish more than 2 Remote Desktop sessions. 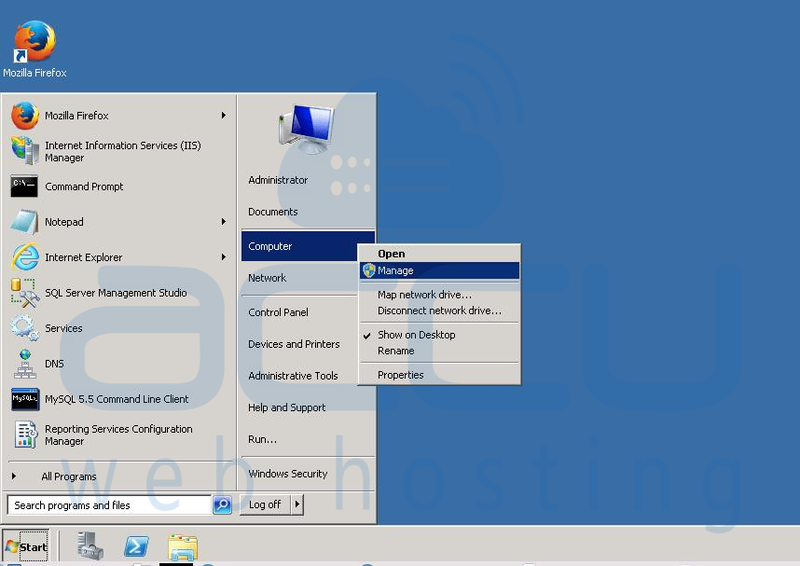 We deliever Windows VPS with two default Remote Desktop users i.e., Administrator and AccuWebHosting_tech/Tech_support. To verify multiple remote desktop sessions (more than 2), you'll need to create one more Remote Desktop user and try to connect to your server using all three users at the same time. If you could connect with all three users concurrently then you've successfully installed the Remote Desktop services. 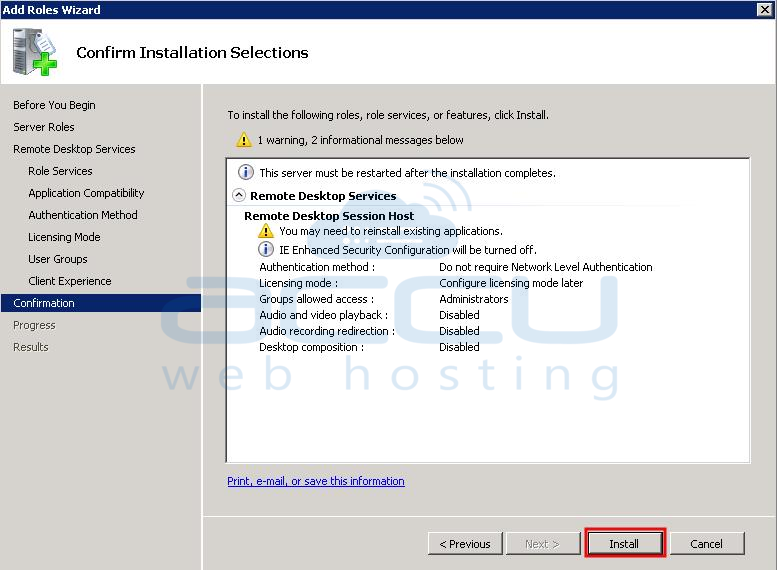 How to change the default RDP (Remote Desktop) listening port on your Windows VPS? How to change time zone in Window Server 2008? How do I modify php.ini file to enable/disable parameters in Windows VPS?